The Old West was filled with all kinds of boomtowns. Most were mining towns, where gold or silver were struck. But in Kansas railroads and cattle had a big role in creating boom towns. And Dodge City, Kansas was the last of the great cattle boom towns. Boot Hill Museum pays homage to that. The Boot Hill Museum features a gift shop, the original Boot Hill Cemetery and ‘Front Street’, a partial reconstruction of downtown Dodge City as it existed in 1876, which consists of several exhibits and buildings from the era. It all celebrates Dodge City’s history as a rough and ready cowtown. There really is a lot to see and do there. 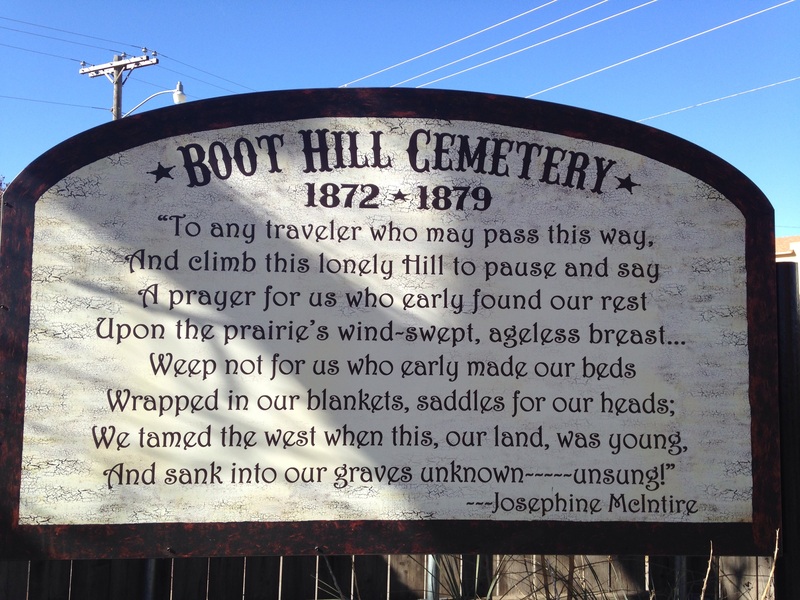 And the fact that Boot Hill is the genuine article is fascinating. These are the actual graves of the actual people who died in the early days of Dodge City. And the museum has documented their stories well. They have recreated the Long Branch Saloon, Dodge’s most famous saloon, known for it’s entertainment and now famous patrons like Bat Masterson, Wyatt Earp, Doc Holiday, Frank Loving, among others. A church, an ice cream parlor and a fire arms exhibit are some other fixtures of Front Street. 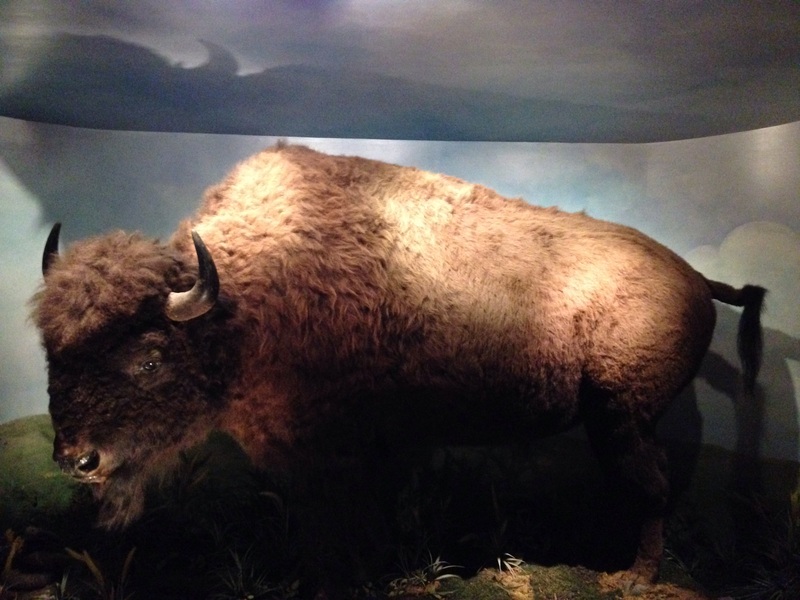 But the thing I found most interesting was the Native American exhibit. Just about every Old West museum and/or town recreation you go to will exhibit what life was like for European settlers and pioneers, not many delve into how these things effected the Native population. 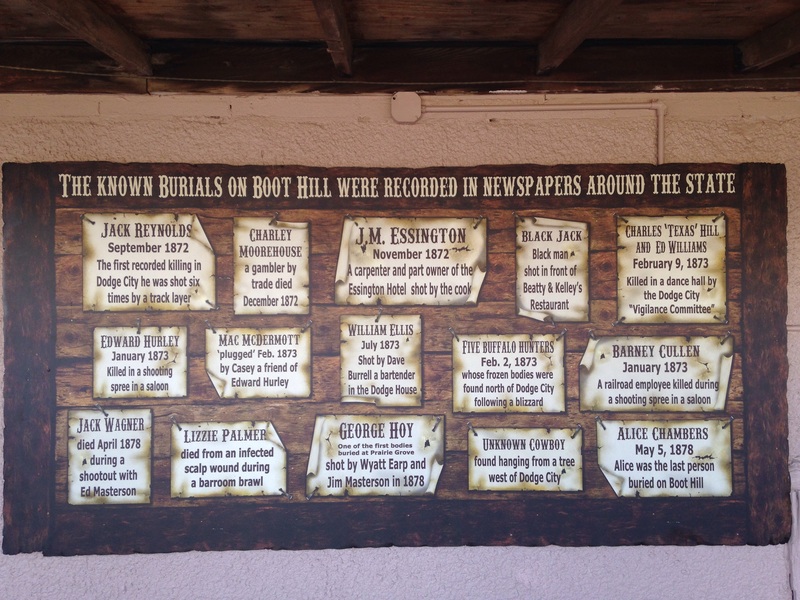 All in all Boot Hill Museum was very interesting and definitely worth the stop. Front Street was pretty standard, maybe a little above standard, what really raised the bar for me was Boot Hill itself and the Native exhibit. If you’re ever in the area, Boot Hill Museum is definitely worth the stop.